"In fact, the weakest indexes continue to be the Russell 2000 - I've been talking about the weakness in the small caps. That index is now down better than 19% from its peak just about 4 months ago. So we're almost officially in bear market territory. We'll probably be there by Monday, judging by the technicals." "The other index that is leading the way down is the Dow Jones Transports. This index is now down better than 18% from its peak. Both the Transports and the Russell 2000 are at the lowest levels of the year." 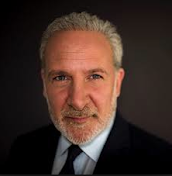 Peter Schiff will be live on Fox Business News on Monday on the show "The Countdown to the Closing Bell" to discuss current market events.